Vitamin C is a necessary nutrient for a variety of functions, including fighting free radical damage, collagen production and stimulating a healthy immune system. Vitamin C is found in a variety of fruits and vegetables, most notably oranges, kiwis, leafy green vegetables and bell peppers. Supplemental vitamin C is also easily available at pharmacies and health-food stores, but the safety of this form of vitamin C has not yet been established. Work with your doctor to determine whether you need to increase absorption of vitamin C for your health. The main way that vitamin C is absorbed is through taking it orally, or by mouth. In his book, "Nutrition Almanac," nutrition writer John D. Kirschmann notes that vitamin C is absorbed through the mucus membranes of the mouth, stomach and upper part of the small intestine. He adds that the larger the dose, the less is absorbed, such as 80 percent absorption rate when you take under 250 mg, but only 50 percent absorption rate when taking above 250 mg up to 2 g. Vitamin C not absorbed is excreted through the urine. Another way that vitamin C can be absorbed is through injections. Kirschmann states that injections are preferable over taking vitamin C orally when taking it for therapeutic purposes. The body is better able to absorb large doses of vitamin C through injection into the bloodstream. Injections of large doses of vitamins are very controversial, so make sure to talk to your doctor before embarking on this alternative form of treatment. Another way to make sure your body is absorbing vitamin C is to make sure you take it with bioflavonoids. According to Dr. Robert Rountree in his book, "The New Breastfeeding Diet Plan," flavonoids are necessary for proper vitamin C absorption and utilization. 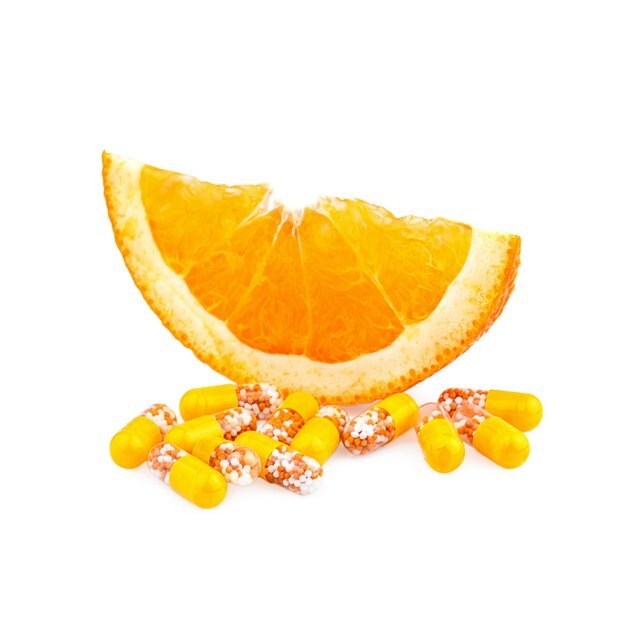 If you are taking a vitamin C supplement that does not contain flavonoids, he recommends taking them separately. As with any supplement, taking pill, powder or IV forms of vitamin C may disturb the absorption of other vitamins and minerals. This may cause serious side effects; so be sure to consult your doctor before taking supplemental vitamin C. Vitamin C may also interfere with certain prescription medications. Obtaining vitamin C from food sources is the safest approach, and should be the primary focus of daily vitamin C intake.